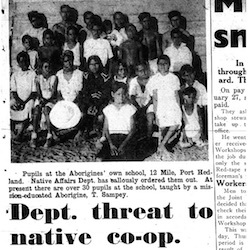 A letter from the North West Workers’ Association to the Minister for Native Affairs was reprinted in the Workers’ Star. 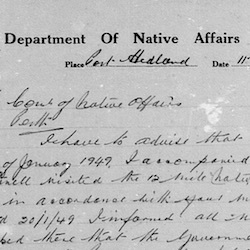 Strikers were increasingly able to negotiate individual agreements with pastoralists to return to station work on increased wages and with improved living conditions, while the Department of Native Affairs found itself unable to reimpose control over marrngu because of fear that those now in employment would re-join the strike. 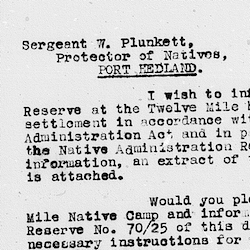 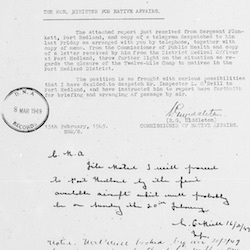 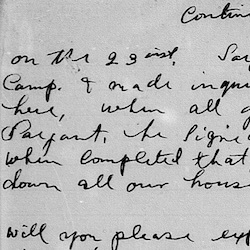 This letter, written by Tommy Sampie in response to a government decision to declare the Twelve Mile a prohibited area for Aboriginal people to camp, caused the prohibition to be quickly reversed and illustrates the considerable political power that marrngu were gaining through their actions.